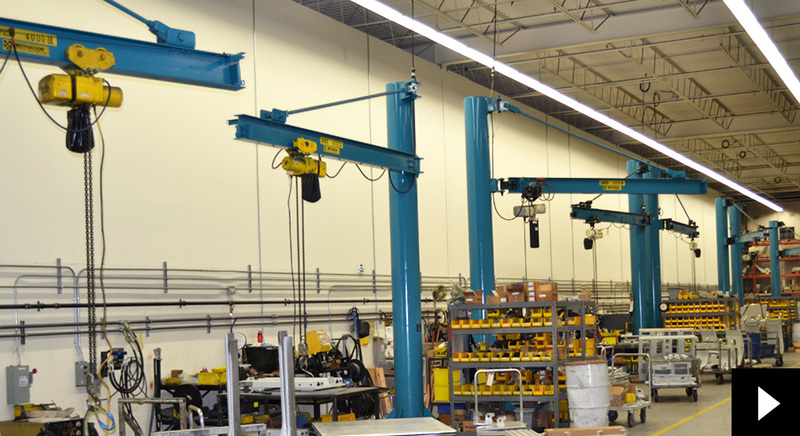 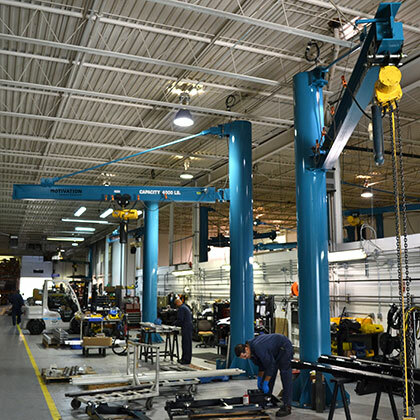 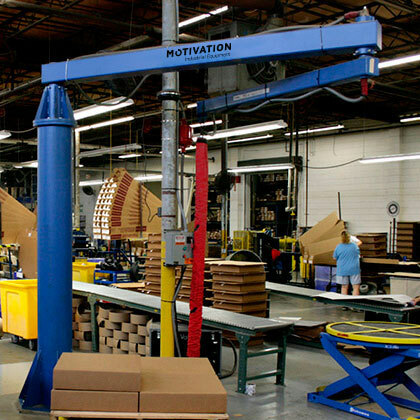 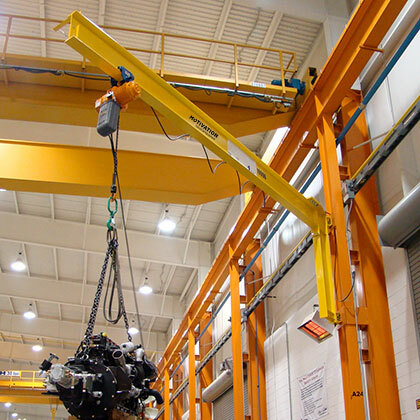 We make it our business to solve your toughest material handling challenges with a range of free standing, articulated, portable and ceiling mounted jib cranes. 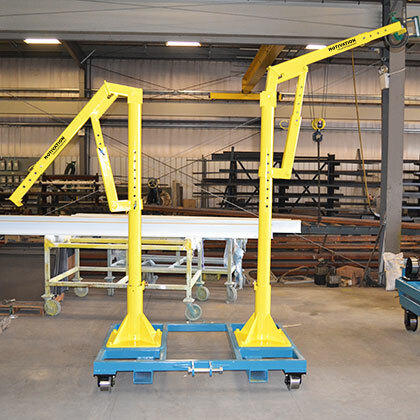 Custom built with accessory options that work for your specific requirements, our experienced professionals will help you select the right crane and attachments for your material handling needs. 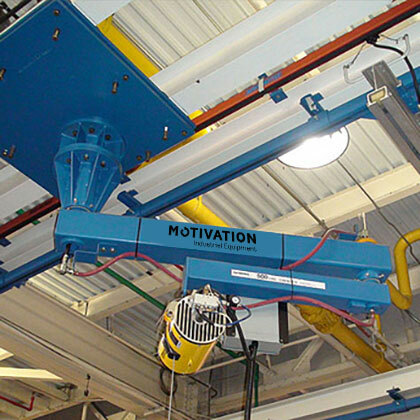 All Motivation cranes are manufactured to meet or exceed CMAA (Crane Manufacturers of America) and CWB (Canadian Welding Bureau) standards.